Winter in Michigan is hard enough with cold, snowy days and long nights, but it’s also the beginning of flu season. There isn’t much you can do about the weather, but there are ways to arm yourself against seasonal influenza. A flu shot is the best protection from the dreadful illness, although some people avoid vaccination because of common misconceptions. There are many myths about the flu and the flu shot, including the common notion that the flu shot will make you more susceptible to getting the illness. These myths perpetuate health disparities in under-served communities. A 2010 survey by the Centers for Disease Control reported a record number of seasonal flu vaccine doses overall but also indicated disparities in immunization coverage rates among minority adult populations (18 years and older), the uninsured and under-insured, and the elderly. Blue Cross Blue Shield of Michigan joined a national effort to promote the importance of the annual flu shot, particularly among populations that have lower immunization rates. “It is important to continue educating the public, particularly underserved populations because their participation rate is lower,” said Jerry Johnson, M.D., the Blues’ executive medical officer. The Blues are committed to addressing health disparities and are targeting these communities with information about flu vaccinations, as well as a call to action to get the shot. Below is a quick summary of myth-busting facts about flu provided by the American Lung Association. Two surgical initiatives developed by Blue Cross Blue Shield of Michigan and Blue Care Network have been recognized as tops among 48 programs run by Blues plans nationwide, providing further validation of BCBSM’s efforts to improve health care quality, patient safety and outcomes. Together, the two collaborative quality initiatives have removed an estimated $100 million in costs from the health care system in Michigan, including from non-Blues plans. The 2011 BlueWorks Award was announced last week by the Blue Cross and Blue Shield Association and the Harvard Medical School Department of Health Care Policy. The award recognizes Blues-sponsored programs that improve health care safety, quality, accessibility and affordability while engaging providers, consumers and communities. It’s the second consecutive year that BCBSM has received the prestigious BlueWorks Award. In 2010, BCBSM was recognized for its Patient-Centered Medical Home program, which emphasizes the roles of primary care and increased patient involvement to improve health outcomes and lower costs. The Michigan Surgical Quality Collaborative, which collects and analyzes procedural and outcome data to improve the quality of care for patients undergoing general and vascular surgery, which is commonly performed at hospitals across Michigan. 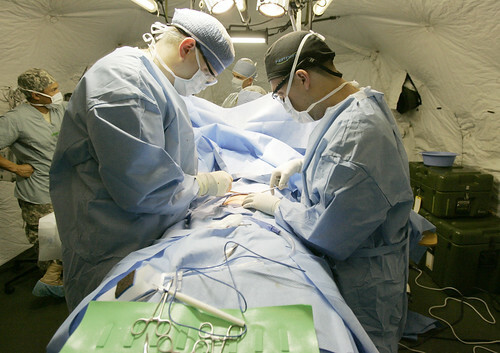 Rates for surgical morbidity are lower under this program and dropped more quickly than at other hospitals in the National Surgical Quality Improvement Program, after which the program is modeled. The Michigan Bariatric Surgery Collaborative Quality Initiative, which analyzes and shares patient data and outcomes from a clinical registry database. Among other goals, this CQI aims to reduce both emergency room visits and the use of pre-operative Inferior Vena Cava filter placements to improve care for patients who undergo bariatric surgery. This initiative has served as a guide for other regional collaborative efforts and can be easily replicated to improve patient care in other clinical areas. Early data suggest that the Michigan Surgical Quality Collaborative led to $85.9 million in cost savings statewide in 2009 and 2010. That figure includes procedures covered by all commercial insurers — including the Blues — as well as self-payers, Medicare and Medicaid. An analysis of the Michigan Bariatric Surgery CQI suggests that the program has saved Michigan $14.6 million between 2008 and 2010. All told, Blue Cross Blue Shield of Michigan and Blue Care Network sponsor 10 collaborative quality initiatives with Michigan hospitals. Another two are planned for launch in early 2012: one on arthroplasty (hip and knee replacement surgery) and the other on intensity modulated radiation therapy, which is used to treat breast and lung cancer.